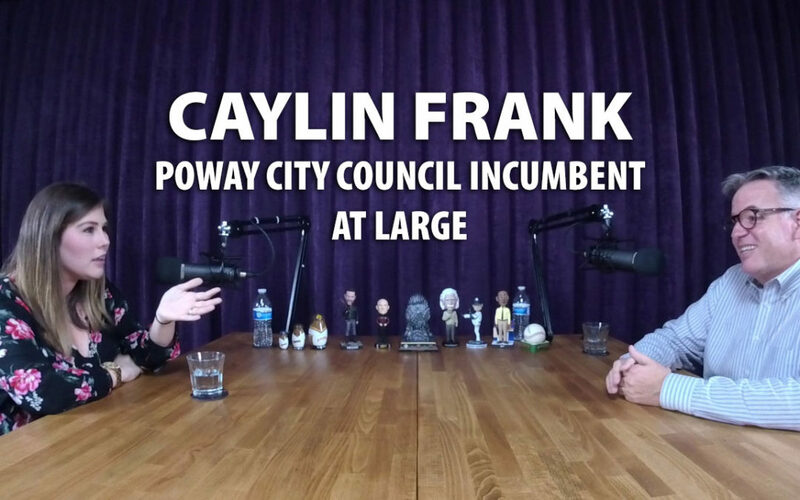 Caylin Frank joined me for an enjoyable podcast session where I got to know Poway’s newest councilperson. Caylin shared her personal story growing up in Encinitas with two parents that served as deputies with the local sheriff and her mother later earning a seat on city council and eventually mayor. This sense of civic duty influenced her to pursue a degree in political science from the University of San Diego, an internship in Washington DC with “Surf Caucus” Congressman Brian Bilbray and later as a senior policy advisor for San Diego County Supervisor Bill Horn. Caylin and her husband are new parents with a 9-month old daughter and take the time to enjoy Old Poway Park, the Farmer’s Market and other family friendly places in town. Caylin believes her experience and relationships with govt officials and administrators can be a great resource for Poway citizens looking for support on a variety of issues. We spoke at length about the greater issue of homelessness and how her learnings and relationships can be of service to the homeless here in Poway. She is a supporter of the new Outpost development on Poway Rd and is hopeful that the Poway Road Corridor plan will embrace open plazas, places to enjoy a coffee and conversation with friends and family, and serve as a dining and entertainment destination for local residents. As a new resident to Poway, Caylin is proud that she and her husband made a great choice to live in the top city to raise a family in San Diego County. It is important to Caylin that Poway retains this special culture and town character for her child and the people she represents.